The clue lies in the title. 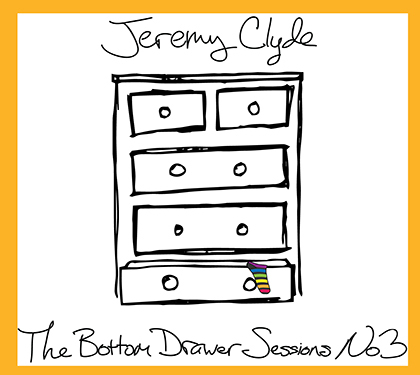 The Bottom Drawer Sessions. The songwriting continued in the 1970s after I ceased to be 'And Jeremy', late of Chad & Jeremy. It carried on, rather slowly, through the early years of marriage and fatherhood. The problem was always What To Write About. "Got up this morning, feeling mighty bad"... It had all been done before. So then I roped in my old friend, Hugo Williams, now one of our most famous and revered poets. We managed to write a few decent songs, but poets are not necessarily lyricists and he went on to scale the literary heights. And then, at a party in the early 1980's given by the renowned jazz singer Annie Ross, I met an enormously tall Canadian fellow in a cowboy hat, David Pierce, known to all and sundry as Big Dave. I asked what he did. "I'm a lyricist", he said. He had been working with a fine 70's band, Meal Ticket, which happened to include another old friend, one Rick Jones. Naturally, I went over to Big Dave's place the next day and was duly amazed to be shown his bottom drawer, a vast & brilliant collection of unpublished lyrics. Since then, in London, Los Angeles, and latterly, Paris, as the wind blew both of us in unexpected directions, we continued to write in that old fashioned way... he writes the words, and I set them to music. We have been at it for so long now that we seem to speak a kind of shorthand. A publisher suggested we try to write a musical. The result was "What's The Score?" and "B Movie", neither of which worked as a musical. But the silver lining was my being introduced to Jo Meacham, a brilliant guitarist and all round good guy who was musical director on the project. Some of these songs have seen the light of day as Chad and I started to work together again in the past few years, but not all of them have suited our vocal style and, besides, the public quite correctly want to hear our old hits. 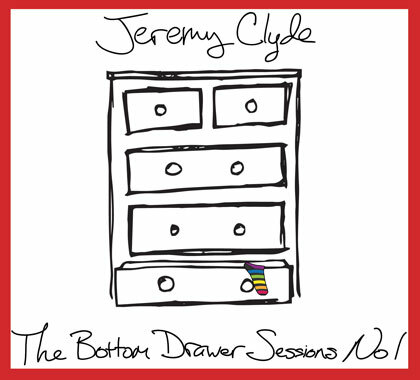 The latest news on Jeremy Clyde and The Bottom Drawer Sessions project. Short biographies of Jeremy Clyde and his songwriting partner, David M Pierce. 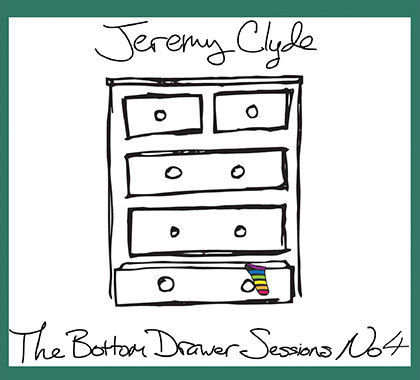 Extended liner notes for "The Bottom Drawer Sessions, No 1"
Extended liner notes for "The Bottom Drawer Sessions, No 2"
Extended liner notes for "The Bottom Drawer Sessions, No 3"
A few music videos from the making of The Bottom Drawer Sessions No. 1. Photos of Jeremy Clyde in the studio and in concert. 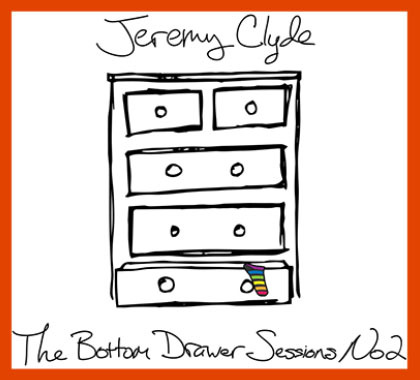 Buy The Bottom Drawer Sessions and other Jeremy Clyde merchandise.